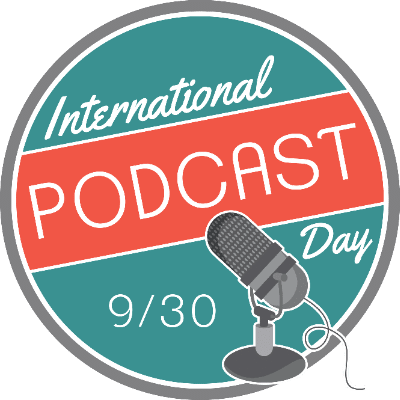 International Podcast Day is this coming Friday so I thought it would be fun to share some of the things I have learned so far from being a co-host of Heart and Hustle Podcast. Before I started podcasting, not only was I not a fan of the sound of my own voice, I didn’t know how important one person’s voice could be. Although I have always enjoyed writing, I felt I needed the option to constantly edit myself. While there are certainly benefits to getting a message across that is refined, there are an equal amount of benefits to an unfiltered message. Recording my thoughts instead of writing them forces me to both accept and trust my own voice. Asking the right questions is important. Angelica and I have had the opportunity to interview some impressively talented and creative individuals. Many of our guest speakers have knowledge and techniques that are completely different than our own. It’s not every day that I get a chance to pick the minds of such a diverse group of creatives so it’s important to research our guests, their expertise, and the questions that will truly hone in on what makes them so brilliant. Going into podcasting, I knew that when it comes to business, entrepreneurship, and creativity, I know quite a bit. While I have always known that learning is a continual process, I didn’t realize just how much there is to learn! The podcast community is an endless stream of knowledge and co-hosting a podcast constantly puts me in touch with people who I have so much to learn from.